Ground penetrating radar is capable of identifying anomalies characteristic of subsurface voids and structures. Subsurface utility engineering (SUE) has proven beneficial on projects ranging from design through construction. Historically it has been predominantly applied during the engineering or design phases of various projects. However, there is an increasing trend of contractors using subsurface utility engineering in support of their construction activities, specifically with trenchless installation methods like horizontal directional drilling (HDD), jack and bore, and microtunneling. 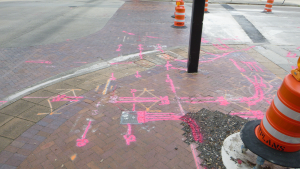 Using various geophysical techniques, multiple electro-magnetic locating devices, ground penetrating radar,and vacuum excavation equipment, subsurface utility engineering provides critical existing underground utility information as an effective means of reducing the risk of damages, claims, significant project delays, and more importantly, injuries or even death resulting from damaging an existing underground utility. 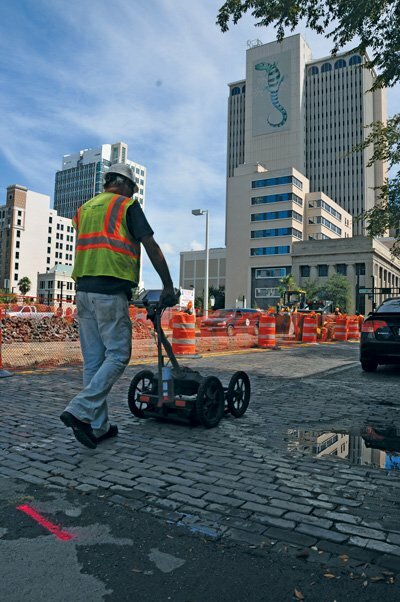 NUCA member company Cardno was part of a large project in downtown Tampa, Fla., that involved microtunneling and HDD for which the firm’s subsurface utility engineering services were provided to support the damage prevention efforts of the city and the project team. 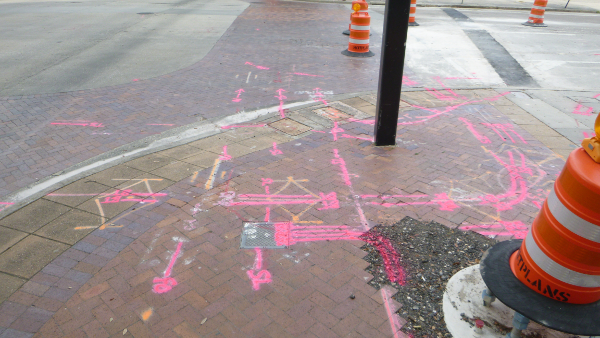 The project scope included water main and storm drainage replacement, roadway reconstruction, and a new signalization system with more than 30 mast arms at 15 intersections and associated interconnect conduit runs linking it all together. Although Cardno’s subsurface utility engineering services were provided throughout the entire project for all aspects of the scope, this article will focus on the trenchless applications of our services. Cardno’s subsurface utility engineering efforts consisted of both utility designating and utility locating. Existing utility congestion is inevitable in any metropolitan downtown setting, making it challenging to find the required unoccupied corridor necessary for the installation of new utilities. Having provided subsurface utility engineering services on a number of other high-profile projects located in similar settings, including downtown Tampa, Cardno was able to develop an approach specifically catered to this type of project and urban environment based on past experiences and lessons learned. The approach used for this project consisted of two phases. During the first phase, the proposed horizontal directional drill path was laid out at each location by the contractor and painted on the ground surface. As there is not just one piece of equipment capable of detecting all types of utilities, Cardno field crews utilized all designating devices available to mark the horizontal location of the existing utilities within 15 ft of the proposed drill path. The project team was then able to choose the best alignment for the directional drill. As there were not any locations that were 100 percent free from utilities and conflict, the project team identified those utilities in conflict with the proposed alignment and requested further investigation of the utility. These investigations took place as our Phase II efforts, which included the mobilization of vacuum excavation trucks for utility locating. The vacuum excavation crew cut a small opening through the road surface and vacuum excavated the soils from the ground down to the top of the utility. Upon completion of the excavation, the crew would record the size, material and depth of the utility. 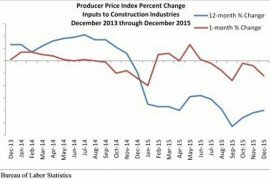 This data were then provided to the project team. With data in hand and the horizontal position of the utilities painted on the ground surface, the horizontal directional drilling crew was able to navigate each drill through the web of utilities. The subsurface utility engineering process is not just for designating and locating utilities. 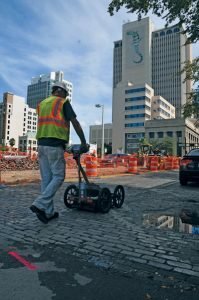 On this particular downtown Tampa project, ground penetrating radar, in particular, was capable of identifying anomalies characteristic of subsurface voids and structures. In areas noted to have possible anomalies or an obstruction, a Phase II investigation took place. 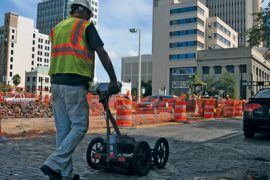 Ground penetrating radar was also used to identify limits of sanitary sewer, storm drainage, telephone/fiber-optic and power line manhole substructures, vaults and box culverts below the paved surfaces. In these cases, vacuum excavation was also used to confirm corners and edges of the structures as identified by the ground penetrating radar to confirm the position of the structure as it related to the proposed drill path. In some situations the proposed installation corridor was adjusted due to the location of an existing buried structure that was either not known to exist or may have been depicted much smaller or in a differing position in project and record drawings. SUE assists in allowing for better designs with less conflicts during construction resulting in less delays and change orders. There are many situations where subsurface utility engineering services could have had great benefits to a project, even if there was not an incident that resulted in any damage. For example, downtime to stop work and mobilize to another work area – or even another project – is significant if a utility is in conflict with the proposed installation or a utility is not located where the plans depict it to be. Additionally, the utilization of subsurface utility engineering on a project greatly reduces the safety related risks associated with damaged utilities. Many contractors have discovered the value of subsurface utility engineering in as little as one project. Many of those who are familiar with it are aware of the savings that can be gained from incorporating this service into their project process. Subsurface utility engineering has become more than an engineering and design tool. It is a tool/service that is available to anyone to assist in reducing the risk of damaging underground utilities and identifying potential obstructions. Cardno has experienced a greater interest from contractors over the last few years to utilize subsurface utility engineering services on their projects. 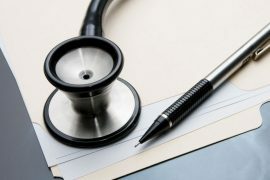 Some of those have learned of it on their own through word of mouth or unfortunate incidents while others may have been required by contract to provide it and have clearly experienced the benefits. It is this increase in interest by all parties involved that have prompted Cardno to provide guidance to contractors and owners on what levels of subsurface utility engineering will be most beneficial to their projects. Several contractors Cardno works with have even adopted its services as part of their company safety policies when it comes to projects involving excavation activities. As such, it has also become more common for owners such as transportation authorities, cities, and counties to mandate that subsurface utility engineering services be provided not only prior to trenchless applications but to be utilized on all projects involving any type of excavation. Subsurface utility engineering services have been around for more than 20 years and continue to become increasingly popular in all phases of construction for a variety of reasons. During the engineering and design phases, SUE assists in allowing for better designs with less conflicts during construction resulting in less delays and change orders, as well as a greater success rate of on-time project completion. In the field, it is a means of helping to significantly reduce the risk of damaging existing utility facilities and incurring additional costs and burdens associated with those damages. Aaron J. Hopkins is project manager at Cardno Inc.